The flavor of halva-a rich, Middle Eastern sweet confection made of water, sugar, and flour-goes well with ice cream. If you add these two desserts together, you get something that tastes like a sumptuous Snickers ice cream: luscious, nutty, and sweet. 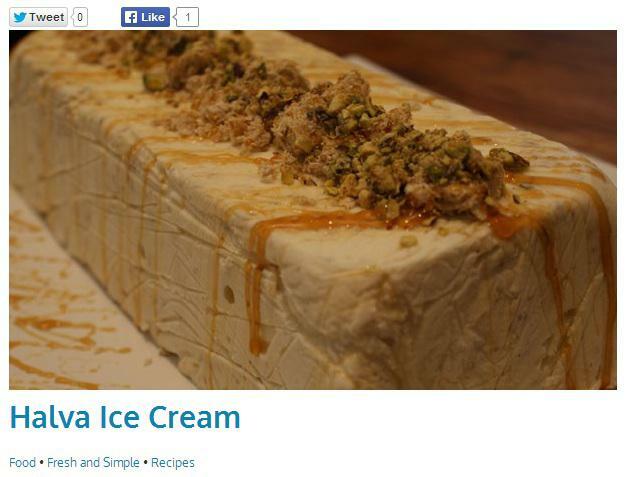 As long as you make sure to purchase a flavorsome gourmet ice cream online, then follow the Halva ice cream recipe below (courtesy of The Home Channel), you may soon find yourself really in for a treat. Line a loaf tin with plastic wrap and let the sides hang over. Put the softened ice cream in a bowl and add the halva and pistachio nuts, mixing until properly combined. Put neatly into the loaf tin and give it a shake so that it settles evenly in the tin. Place the tin in the freezer, ensuring it is level so that it doesn’t set angled, for about an hour or until the ice cream has completely frozen. This recipe is sure to garner some attention from the young and old alike, and is an incredibly easy ice cream recipe to make. If you’ve tasted Israeli halva before, imagine this as its frozen, delectable version. Halva ice cream is delicious, extraordinary, and perfect on its own, but it also works brilliantly with a range of fresh fruits and nuts. Israeli halva is the most common type of halva available, but you may also want to try the Arabic version, which is made from tahini (a paste made from ground, hulled sesame seeds) sweetened with honey or sugar. Arabic halva is exceptionally grainy and crumbly, with sweet shards that melt on the tongue. Still, the most important ingredient of this recipe is the ice cream, so be sure to buy only the best gourmet ice cream for this kitchen concoction. You can buy your ice cream online from established gourmet ice cream dealers like The Smith Island Baking Co.
© 2019 Smith Island Baking Co. All rights reserved.